About TrainSmart TrainSmart specializes in helping you identify people and process challenges that may be preventing your organization from achieving optimal results. We take a collaborative approach to create a tailored strategy for success. TrainSmart’s goal is to partner with you to assess, envision, develop and execute powerful training that increases productivity and confidence, improves performance, and inspires continuous focus on excellence through a wide range of learning solutions. TrainSmart is a full service learning solutions and talent development provider with over twenty-five years of experience in process, technology and performance development serving clients around the world. We are committed to building long-term relationships with our clients and providing world-class customer service and customized training strategies and solutions. We listen, we respond and we take action to help you implement the desired changes to reach your goals. 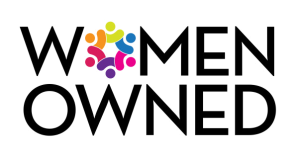 TrainSmart is a certified Woman Owned Business Enterprise (2000) and a Woman Small Business (2015). We have approximately 100+ customers and over 300 consultants strategically located in the United States and around the world. A few of our clients/brands include Schlumberger, Canberra, Nestle USA, Baxter Healthcare, Baxter Credit Union, Los Angeles Superior Court, Takeda Pharmaceuticals, Lions Clubs International, Weil-McLain, Walgreens, Veritas, eBay, Nine Energy, Ultragenyx, Five Star Video, Exelon, Herbalife, Getty’s Group, Nidek Incorporated and several more. We are committed to building long-term relationships with our clients and providing world-class customer service. We listen, we respond and we take action, to help you implement the desired changes to reach your goals.